RealGo, Inc. is a proven leader in Multiple Listing Service (MLS) technology. A subsidiary of IRES Regional Multiple Listing Service, RealGo is the technical division for the MLS service. RealGo and IRES collectively serve over 5,000 real estate professionals in Northern Colorado. The proven MLS system continually delights subscribers in one of America's most dynamic markets. RealGo MLS is a product of the Internet age: technology to keep pace with the subscriber requirements, combined with the simplicity that users love. RealGo's MLS system has a track record of very satisfied users, as measured by an industry survey and user testimonials. Our MLS system is completely browser based with an easy-to-use interface. It provides a library of advanced MLS functions proven to sell properties - functions not found with competitive products. RealGo continues to grow and improve the MLS system everyday to accommodate subscriber's growing needs, requirements and requests. The regional Multiple Listing Service that serves the region from Boulder to the Wyoming border approached us to create a public website that would represent their interests on the World Wide Web. 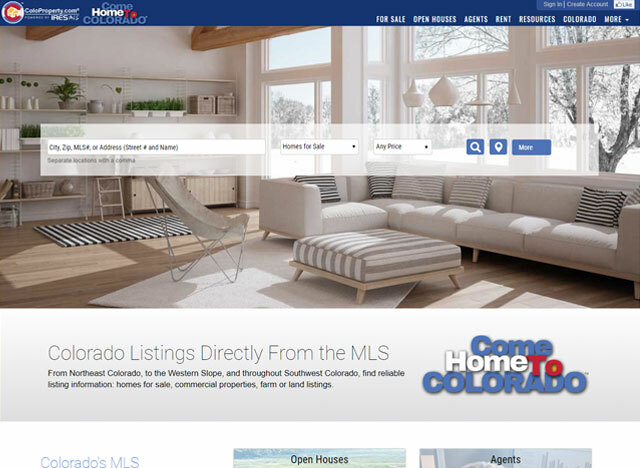 That website, www.coloproperty.com, has become an important part of the image for the local real estate professionals.